PSA Peugeot Citroen, Europe’s second-biggest carmaker, aims to unlock demand for electric cars with leasing programs that include gasoline loaners for trips beyond the reach of a single battery charge. 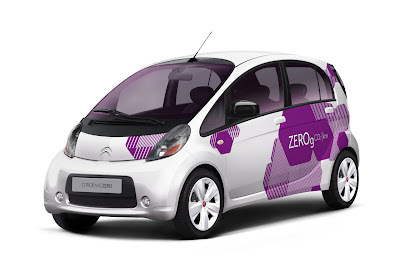 The Citroen division’s new leasing plan, to be announced tomorrow, will be available for the C-Zero electric city car as well as combustion-engine models, Valerie Gillot, a spokeswoman, said in a phone interview today. It builds on the flexibility of the Peugeot brand’s Mu contract introduced in February, which also includes occasional access to other vehicles. “Leasing makes the most sense because electric cars are going to force consumers to think in terms of running costs rather than sticker price, the way company fleet managers already do,” Peugeot Citroen Product Director Vincent Besson said in an interview at a test-drive event today outside Paris for the iOn, the Peugeot brand’s equivalent of the C-Zero. 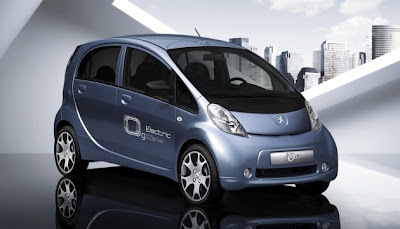 Mitsubishi Motors Corp. builds the iOn and C-Zero, which are based its i-Miev battery-powered car, for Peugeot Citroen. The French automaker plans 7,000 combined deliveries of the iOn and C-Zero next year, with sales rising to 30,000 annually by 2015. Peugeot Citroen has booked production of 100,000 units with Mitsubishi by that date. “That’s just what we have reserved,” Philippe Barriac, head of the iOn program, told reporters today. “It can be increased if need be.” The 80 million-euro ($103 million) cost of developing the Peugeot Citroen models and the European version of the i-Miev was split evenly by the French company and Tokyo-based Mitsubishi, he said. Peugeot Citroen fell 9 cents, or 0.4 percent, to 21.74 euros in Paris trading. The stock has declined 8.1 percent this year, valuing the carmaker at 5.09 billion euros. Citroen’s leasing offer is aimed at consumers whose daily driving could usually be done on a single charge, with an occasional need for longer trips, Gillot said. She declined to give details of the program or the conditions under which C-Zero customers can switch to gasoline or diesel alternatives for journeys beyond the car’s 150-kilometer (93-mile) range. Under Chief Executive Officer Philippe Varin, Paris-based Peugeot Citroen is hedging its technology bets by importing the Mitsubishi-made cars while developing diesel-electric hybrids that deliver lower emissions without the range limitations of battery-powered cars. It also plans versions that can be recharged from a power outlet. The deal with Mitsubishi has enabled Varin to introduce electric cars in Europe more than six months before Renault SA CEO Carlos Ghosn, who has invested about $4 billion on behalf of his Renault-Nissan alliance to develop battery-powered vehicles while ignoring hybrids. Peugeot Citroen’s all-leasing approach also sets it apart from rivals. Renault plans to lease its batteries to consumers while selling the vehicles while Japanese partner Nissan Motor Co. has set a European purchase price close to 30,000 euros for its Leaf electric car, including the battery, with alternative financing plans yet to be announced. At 499 euros a month, Peugeot says the iOn’s running costs amount to 1.50 euros per 100 kilometers for the typical French commuter, one-fourth the cost of an equivalent gasoline or diesel model.